Make a statement that exudes elegance with this straight fit kurta from Stop. Featuring three quarter sleeves and a notched neck, this kurta is a must have in your wardrobe. It boasts a printed pattern that looks appealing. It is crafted from good quality fabric which gives you comfort all day long. 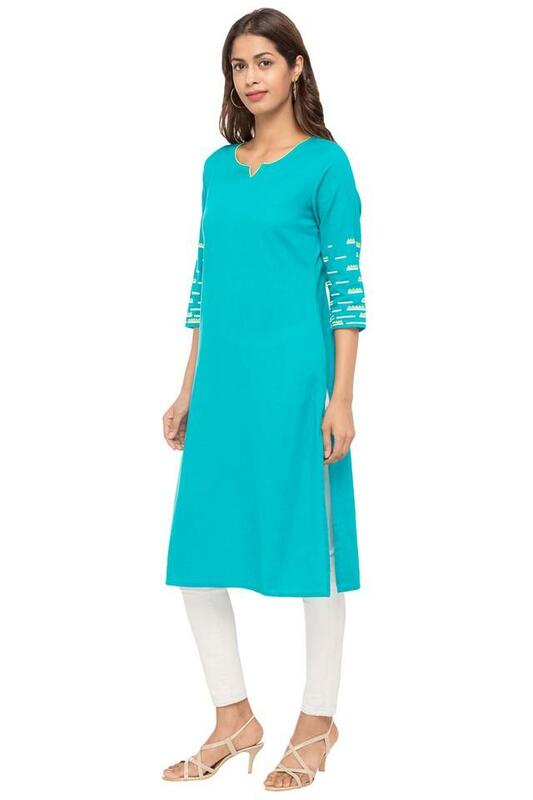 Display your true elegant side in this charming straight fit kurta. 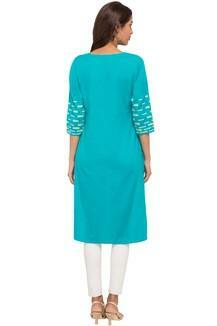 Team this kurta with pair of leggings and sandal.